This watch was given to me by my then boyfriend-now husband while on a high school trip in Switzerland. With it came a promise that someday he would marry me, a promise he kept. The watch's face has numerous scratches and worn spots but that's what happens in the course of life...kids, pets, adventures. 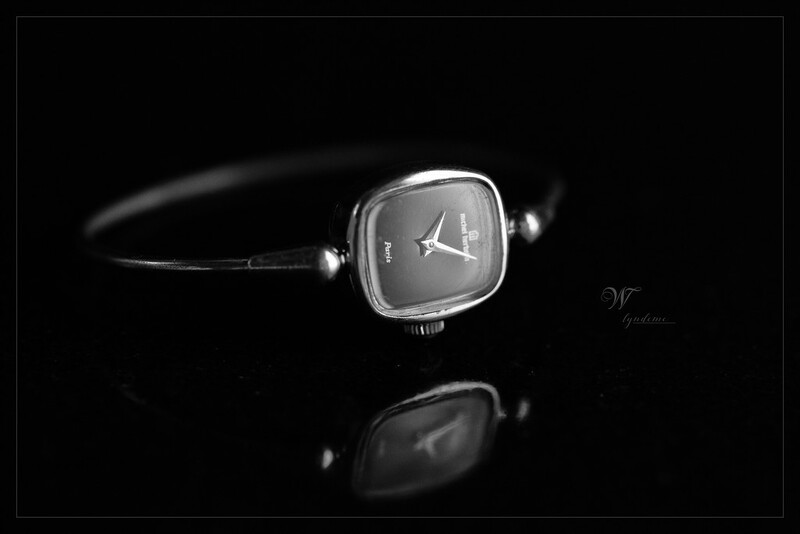 Time has been kind to us and afforded us many happy memories since this watch was given with a promise. What a wonderful story behind this and such a nice way of connecting it with your photo. NIce image, with visual and mental reflections. Love your compositions................and nicely displayed. Wonderful story to go with it! Super capture and wonderful story. Fantastic close up and reflection along with a wonderful story of love!